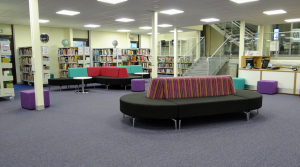 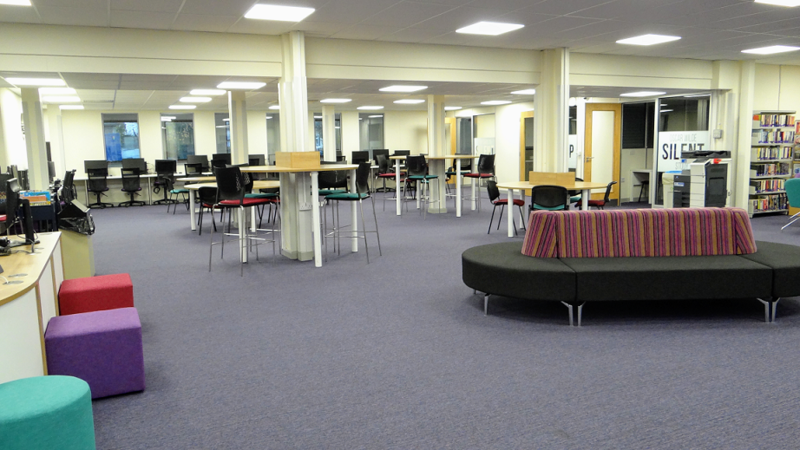 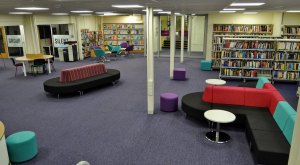 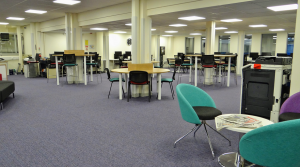 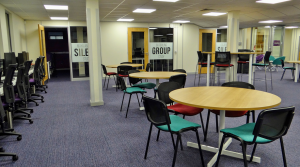 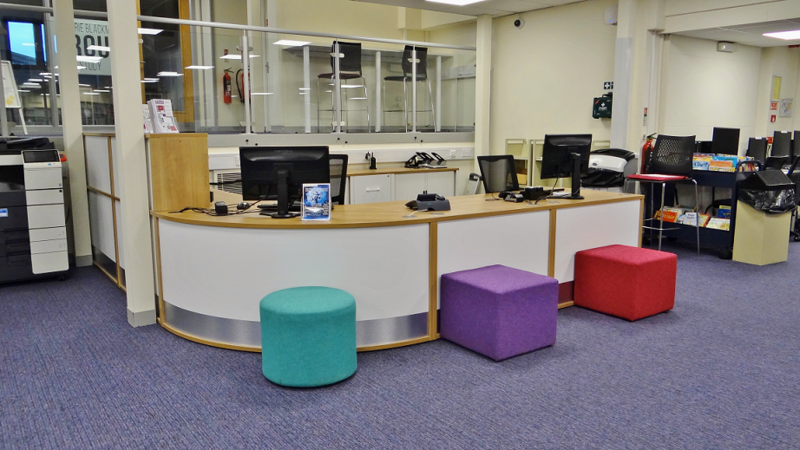 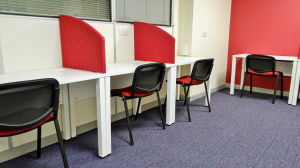 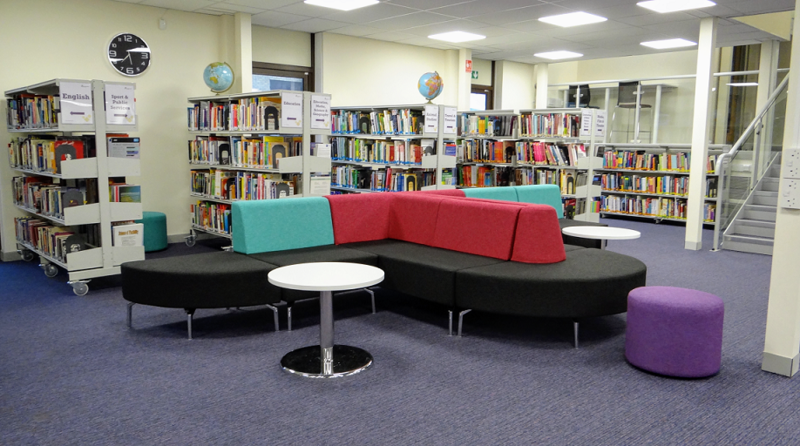 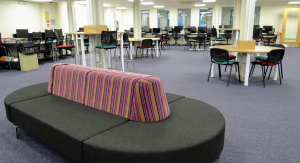 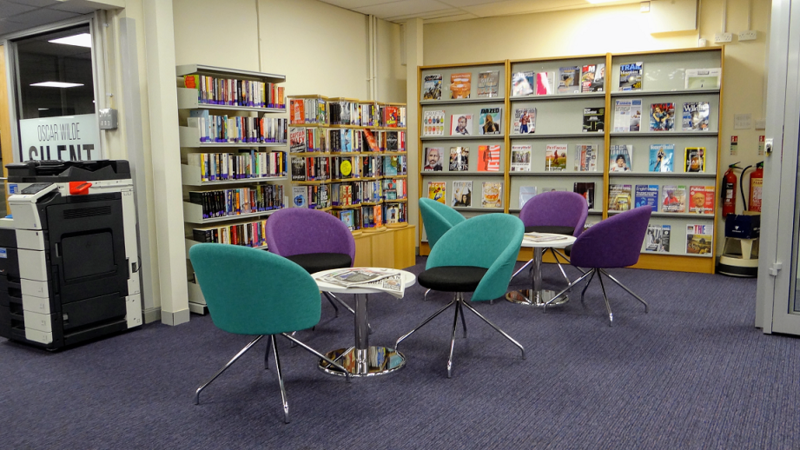 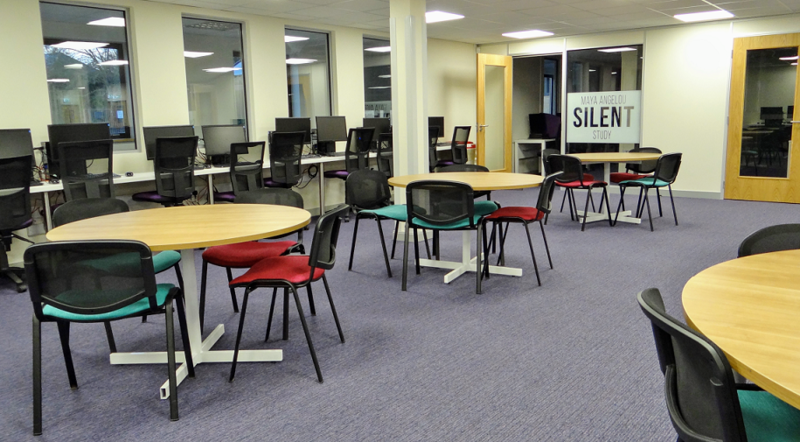 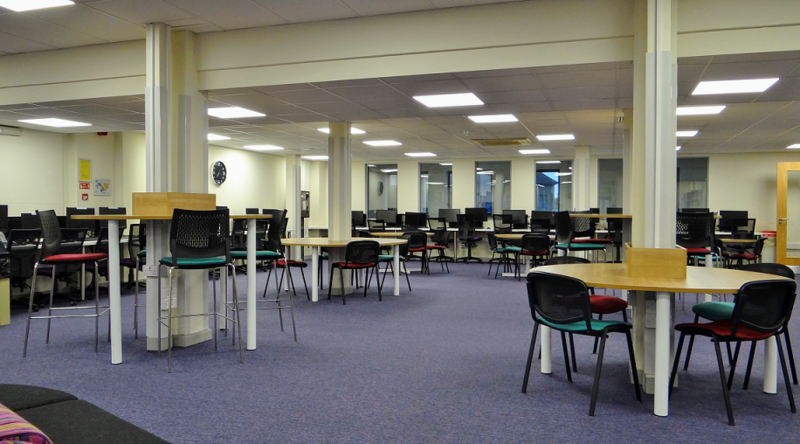 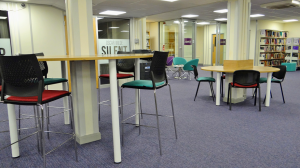 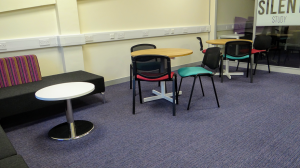 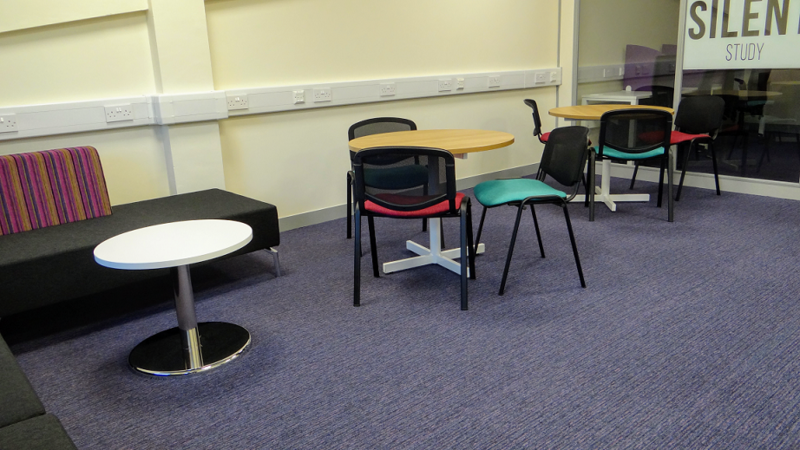 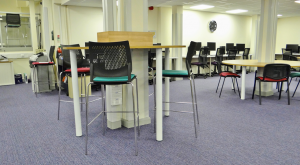 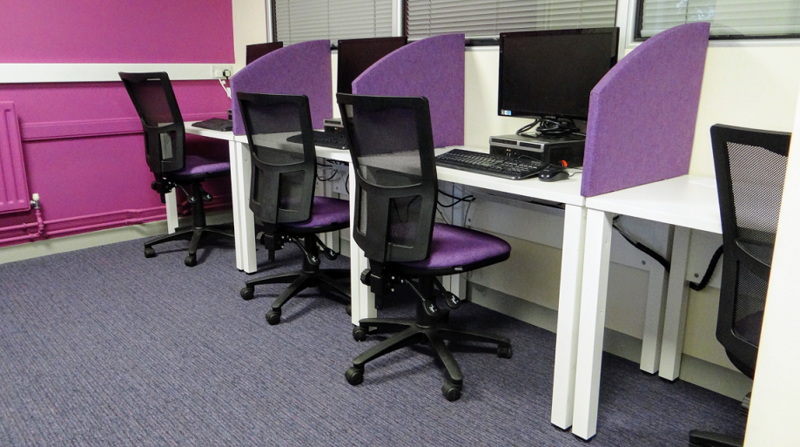 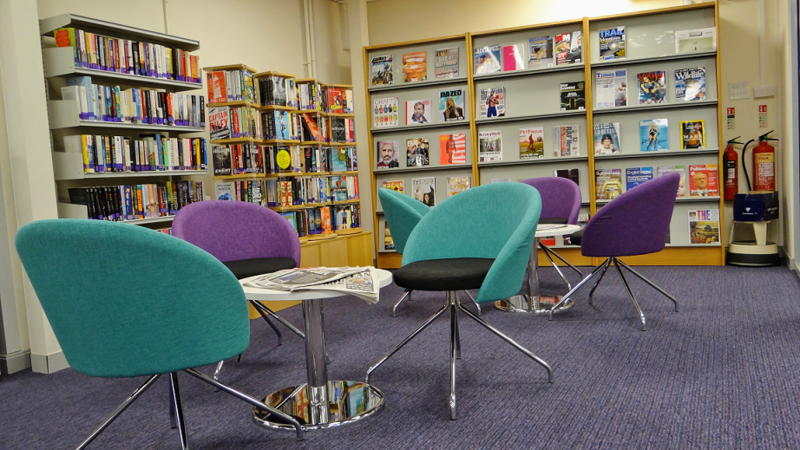 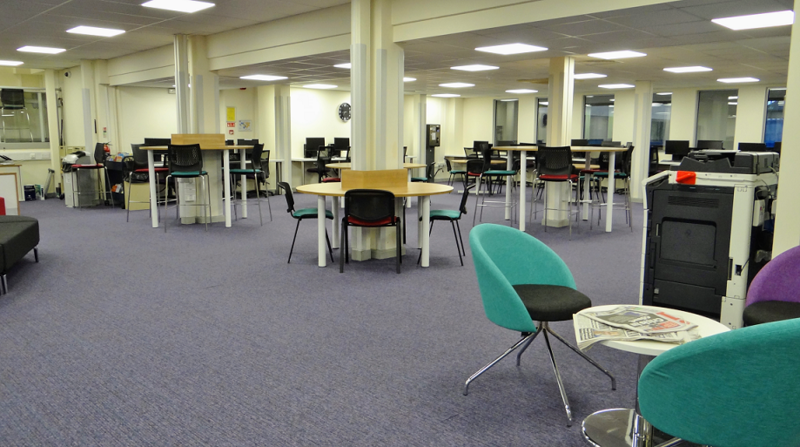 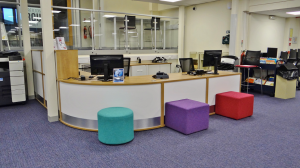 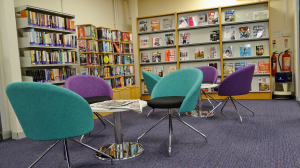 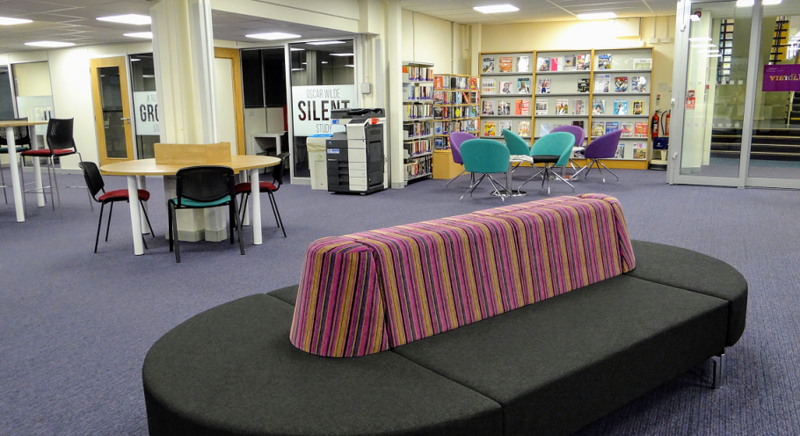 The New College Stamford LRC Refurbishment project was completed by TODDS in 2016. 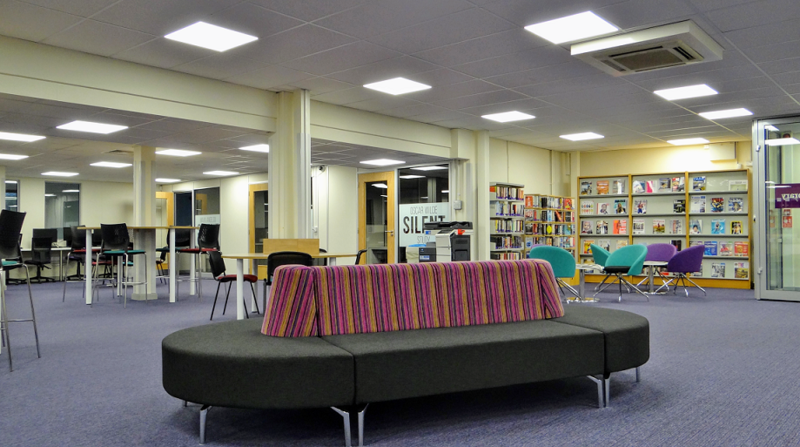 New College Stamford is a further education college in Stamford. 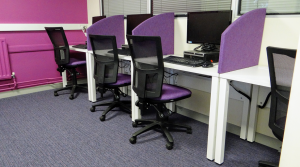 The curriculum is for 14-16 year olds, sixth formers and those taking further educational courses. 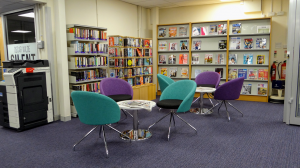 We had the opportunity of meeting Kimberley Godwin (Library Manager) briefly prior to this project who saw our previous works at Lincoln College. 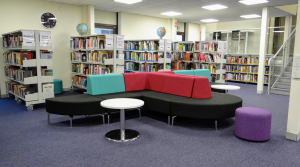 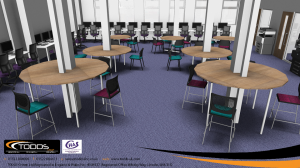 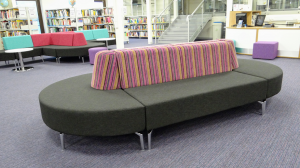 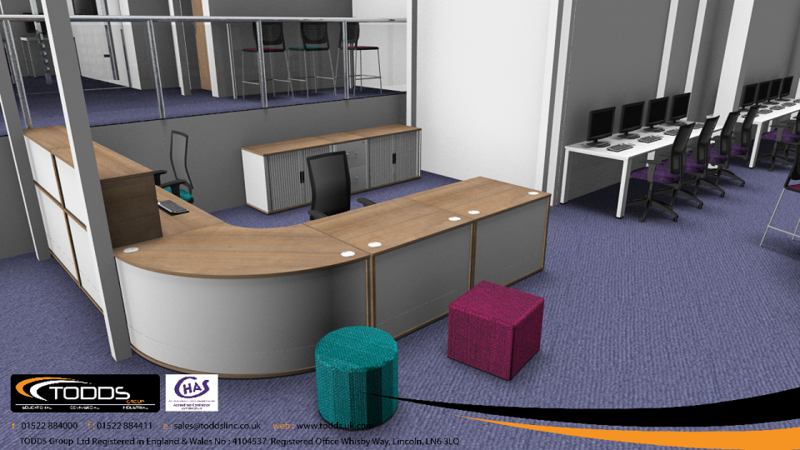 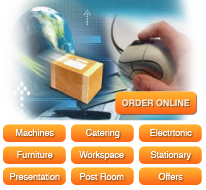 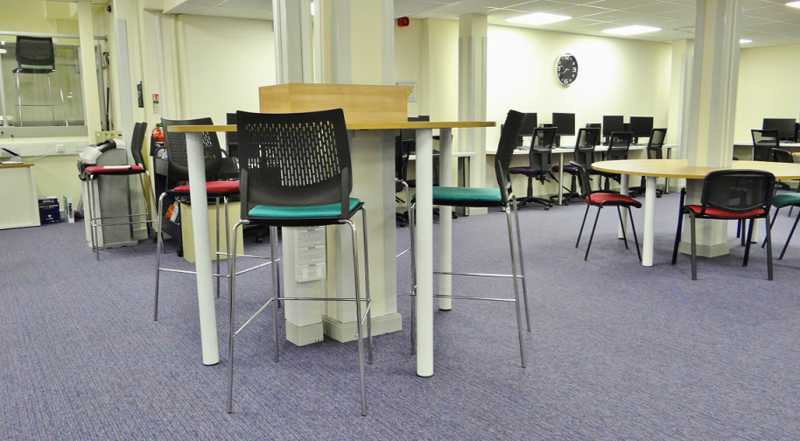 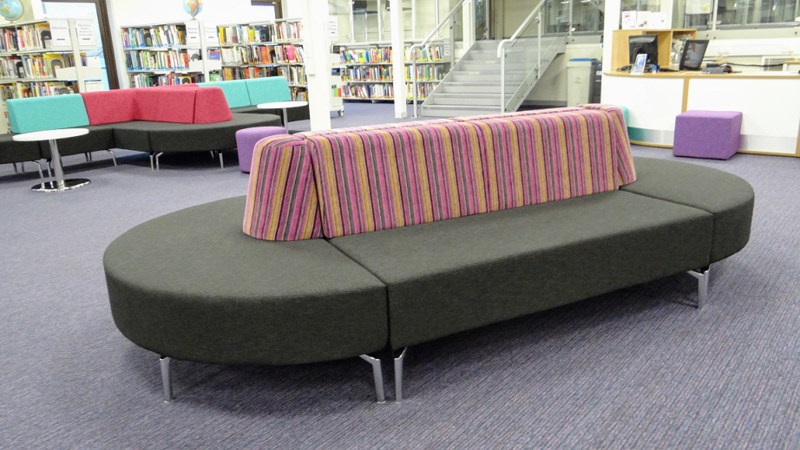 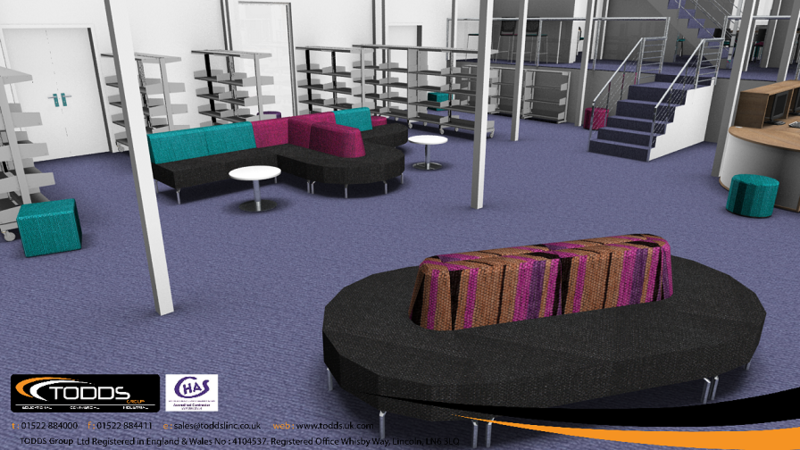 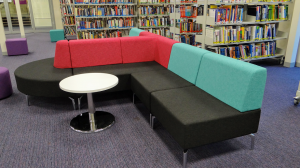 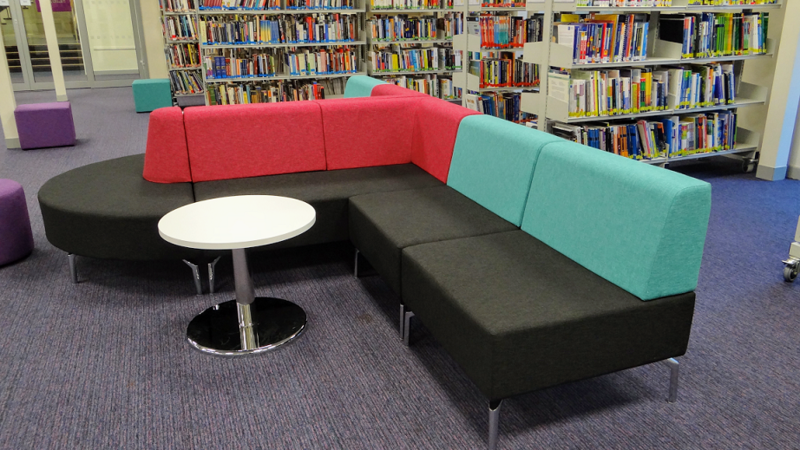 After publishing the furniture tender for the LRC works, we knew this was a project we wanted to work on. 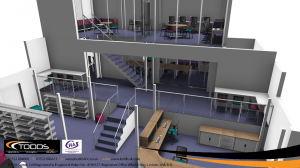 This meant working around another company who won the tender for the structural alterations. It was clear straight away that the team wanted some guidance as how to use this large space correctly. 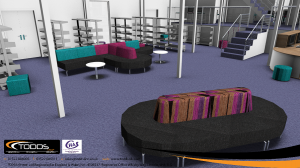 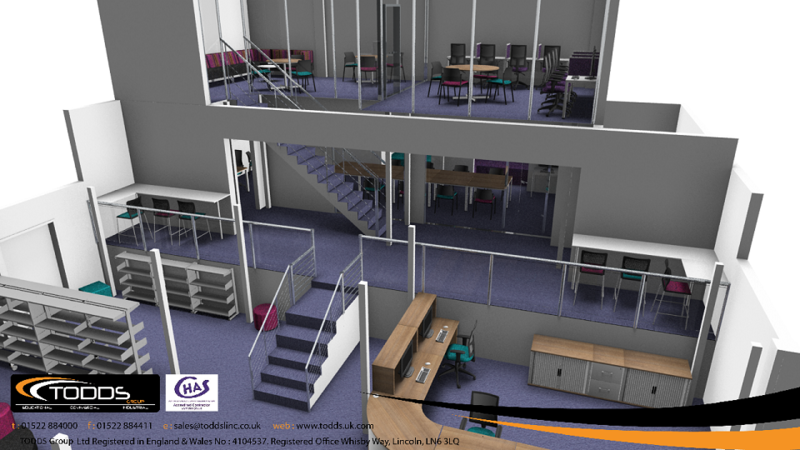 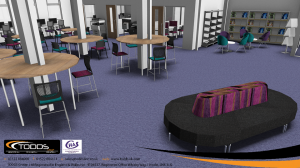 They needed to incorporate IT workstations, quite spaces, group spaces, a staff space, reception and soft seating as well as their current library shelving. 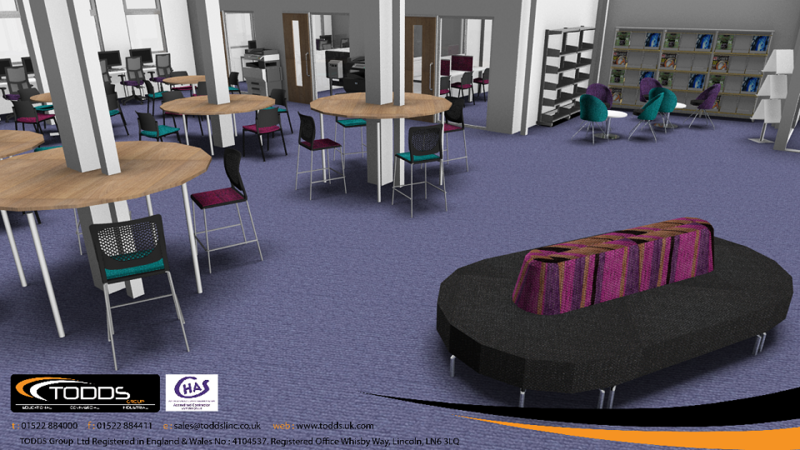 Overall, the design process took 9 revisions before reaching the final layout. After meeting with Rob Cottrell (Director of IT & Resources) we were able to begin developing this design in a way that displayed the colleges house colours but also served a functional purpose. 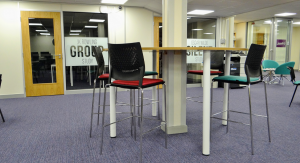 Product mix included a mixture of Pledge/Edge Design and Ocee Design Vibe, Dot & Dash, Venus, Skyline as well as Imperial furniture. 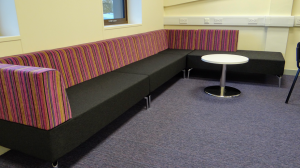 Fabrics used were in Panaz Highland Purple, Jade, Cerise and Charcoal and Panaz Soho Stripe Charcoal Mulberry. 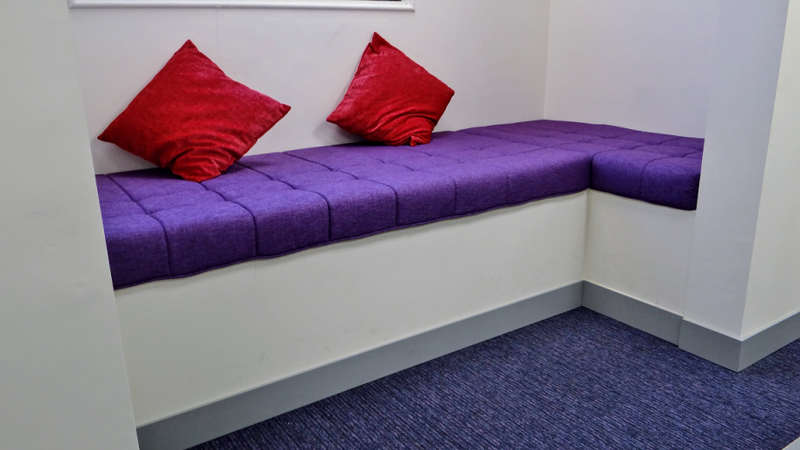 There was also a bespoke seating element which we created using the space within the window alcoves. With a delivery aim in mind during half term, TODDS were able to get all products into stock in advance which we held for several weeks until required by the college. 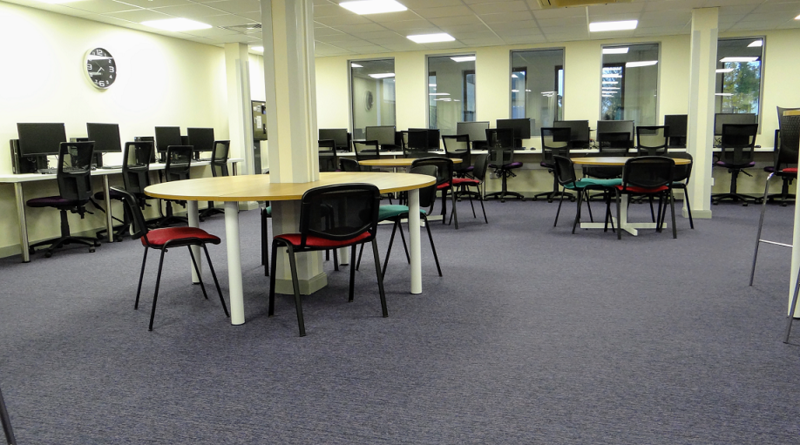 The full install took around 3 days.